Home / Electronics Articles / What do you mean by ADC (Analog to digital converter)? The analog to digital converter (ADC) is a device that converts a continuous quantity to a discrete time digital representation. It also provides isolated measurements. 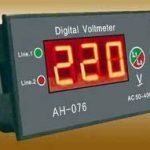 This is an electronic device which converts an input analog current or voltage to a digital number proportional to the magnitude of the current or voltage. 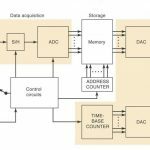 The ADC is defined by its bandwidth and its signal to noise ratio. The bandwidth of an ADC is characterized mainly by its sampling rate. The dynamic range of an ADC is inclined by many factors which include the resolution, linearity and accuracy. 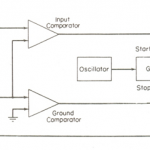 Direct conversion ADC or flash ADC : It has a bank of comparators sampling the input signal in parallel, each firing for their decoded voltage range. The comparator bank feeds a logic circuit that generates a code for each voltage range. 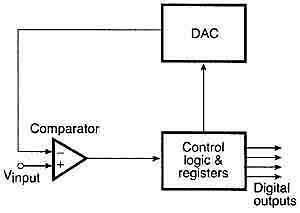 Successive approximation ADC : It uses a comparator to successively narrow a range that contains the input voltage. 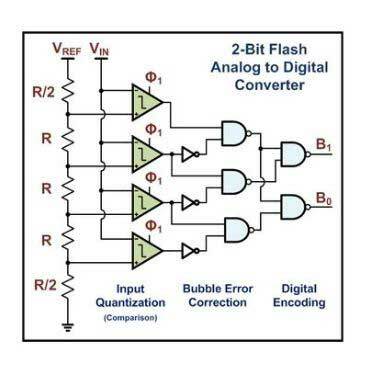 The converters compare the input voltage to the output of an internal digital to analog converter that might represent the midpoint of the current range, at each successive step. 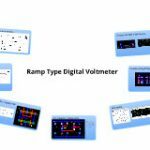 Ramp compare ADC : It produces a saw tooth signal that ramps up or down then quickly returns to zero. When the ramp starts, a timer starts counting. It has advantage that a slow comparator cannot be disturbed by fast input changes. 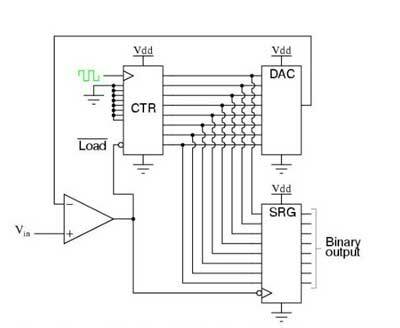 Integrating ADC : It is also called as dual slope or multi slope ADC. It applies the unknown input voltage to the input of an integrator and allows the voltage to ramp for a fixed timed period. Then a known reference voltage of opposite polarity is applied to the integrator and is allowed to ramp until the integrator output returns to zero.